A Gift I’ll Never Forget! As I try to come up with gift ideas for my family I can’t help but think of a gift I gave my sister-in-law many years ago. She and my brother entertain a lot and she loves to cook so I gave her something I thought she’d use when entertaining; it was similar to what is pictured here but a more contemporary style. She opened it on Christmas day and was very gracious and really seemed to like it so I felt good about my gift. To my shock that spring I saw my gift at her yard sale. Of course I was insulted and hurt to see that she obviously didn’t like or want the gift. I wondered why she wasn’t honest with me at Christmas time. I appreciated her being polite but we’re family, I’d have appreciated her honesty more. I spend a lot of time in people’s closets and basement talking about their stuff. It’s very common to see gifts the homeowner was given, but doesn’t want, just stored on a shelf which creates a lot of clutter. It’s obvious from my story that my sister-in-law doesn’t keep things she doesn’t want which may be one reason she has a very organized house with NO clutter anywhere including the basement. As an organizer I have to admit her selling my gift was better than putting it in her basement to collect dust and take up space for years. 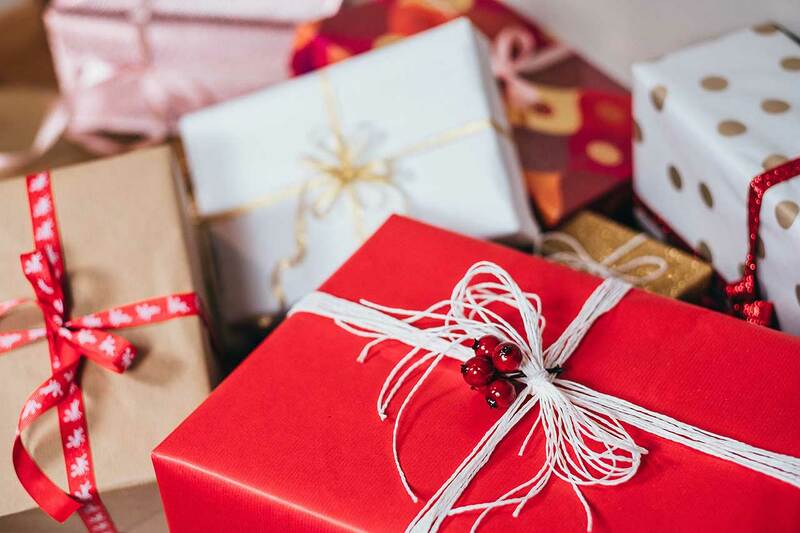 I know it’s hard to always think of the perfect gift so here are some tips on how to avoid giving a gift that bombs like mine did. Listen to what people are saying about gift giving. If they tell you they’d prefer not to exchange gifts respect that. My nephew and his wife asked that we not exchange gifts this year because they don’t need anything. One less gift for me to shop for. If you have young kids in the family and their parents say the kids have too many toys and the house can’t hold anymore listen, listen, listen! Don’t make life more difficult for the parents by buying things they have no room for. Give the kids an experience instead of stuff. Invite the person to your home or to an event like a concert or a play. This is especially appreciated by older members of the family who don’t need things but would treasure spending time with you. If you feel strongly about giving something other than an experience do something with all the memorabilia you have. Last year I created a photo book of our dog’s life for each of my sons. We got Riley when my sons were 9 & 11 years old (they’re in their 20s now) so the book captured the kids childhood too. It was so much fun to make and give this to my sons and they loved it and still do. Most of us have tons of photos that we do nothing with, wouldn’t it be nice to share them. Take some of the family heirlooms that are in your basement and gift them to people who would love to own them. Make sure they want the item before gifting it. What clever solutions to gift giving have you come up with? I’d love to hear from you –[email protected] In case you’re wondering why my sister-in-law doesn’t read my blog, why would she, she doesn’t need any organizing tips. I Hope These Inspire You. There’s Still Time to get the Car in the Garage!